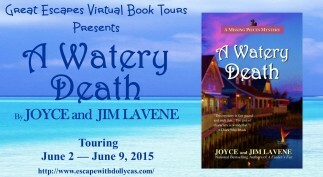 For fans of cozy mysteries, A Watery Death should be high on your TBR list! Full of charming yet quirky townsfolk, matrimonial upheavals and some psychic, time traveling magic, this is a town to get lost in. 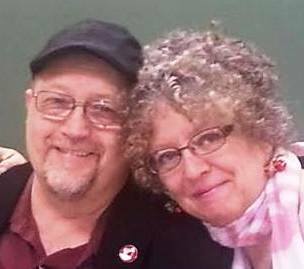 Jim and Joyce have done it again. They have crafted and entertaining whodunit that will keep you turning pages and guessing till the very end. 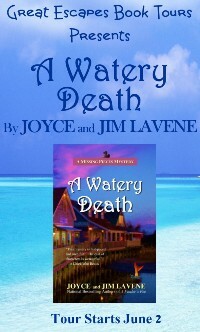 A Watery Death has a little something for everyone: murder, romance, mystery and small town ambiance. This is a fantastic read to start your summer off … Joyce and Jim are great story tellers and the certainly show it with this book. 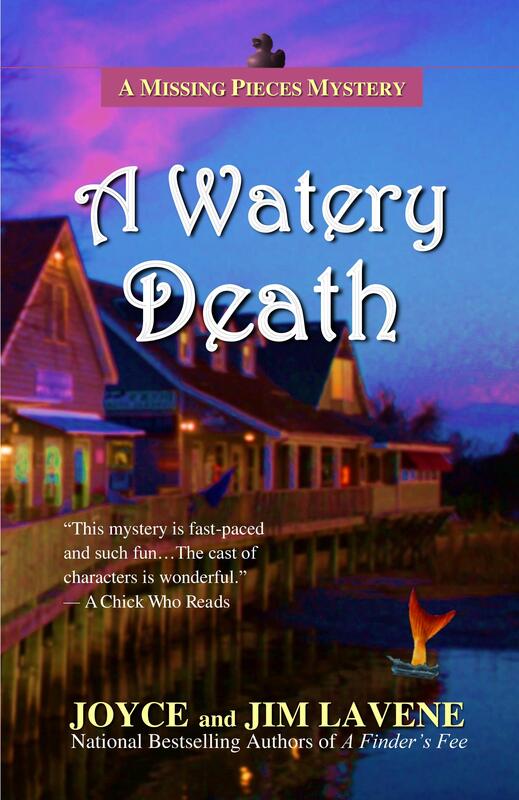 These authors have a wonderful flare for making the paranormal feel like every day, common place occurrences… In my opinion, A WATERY DEATH is the best installment in this series to date. As far as creating a must read story, the Lavene’s raise the bar on themselves with every new book they write. It’s the Fourth of July weekend in Duck, North Carolina and twenty-thousand visitors are on hand to enjoy the parade, the festivities – and learn about the murder of Captain Bill Lucky. Lucky is the captain of the new gambling ship, Andalusia II, which is modeled after the famous ghost ship that haunts the small town on the Outer Banks. Like her predecessor, the Spanish treasure ship replica has been a boon to the hardy residents of Duck, but it has proven unlucky for her captain. Mayor Dae O’Donnell has her hands full with setting up the parade set, convincing her friend, Trudy, that she shouldn’t call off her wedding, and getting her shop, Missing Pieces, ready for the summer when she makes most of her money for the year. She doesn’t need the problems involved with a local murder. But Captain Lucky involves Dae when he asks her to buy an artifact from him that is supposed to be able to summon mermaids. He says he needs money to get out of town for a few days until some problems are resolved. Dae is glad to help him, but isn’t prepared to find him dead in his quarters on the Andalusia when she returns the keys he dropped at her shop. It isn’t the first time that mermaids and mermen have been seen in Duck, but it’s the first time one of them has been accused of murder. While her grandfather and her fiancé, Kevin, struggle to believe such a thing is possible, Dae is left trying to prove her new friends are innocent. Thanks for the excellent blog tour as always! we meet so many new friends along the way!